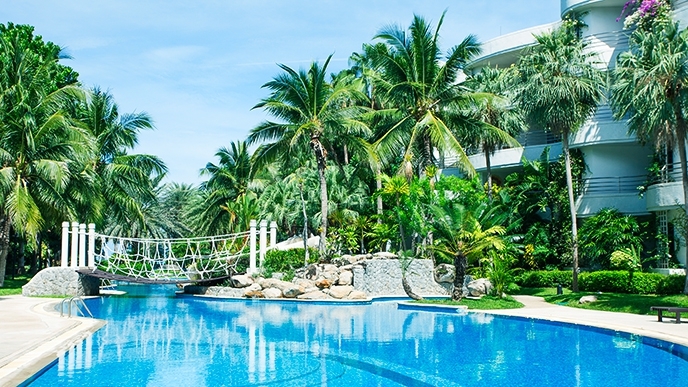 Children over 5 years old are considered as "Adults"
New to Hua Hin? Check out our Properties List. 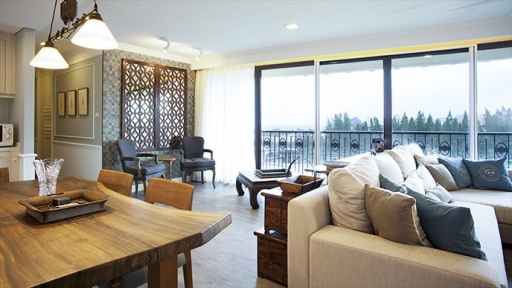 The one-of-a-kind 1 Bedroom apartment, a great balance between aesthetic style and practicality, the apartment is functional for family living, perfect for groups of friends or family with children. 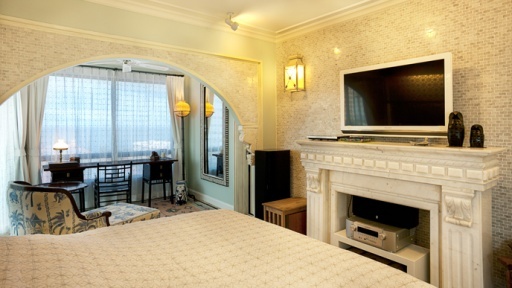 The room is spacious with comfortable sofa bed, free WIFI is available in the room. 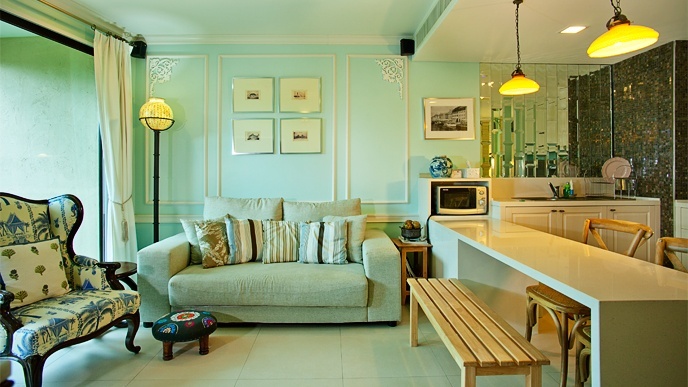 Comfortable one bedroom apartment with stunning swimming pool view, the room is decorated in bright color with modern vintage style. The room is located in the one of the best location of the project, adjacent to the pool with shor walking distance to the front beach. Customer can enjoy at the outdoor balcony with the relaxing view. 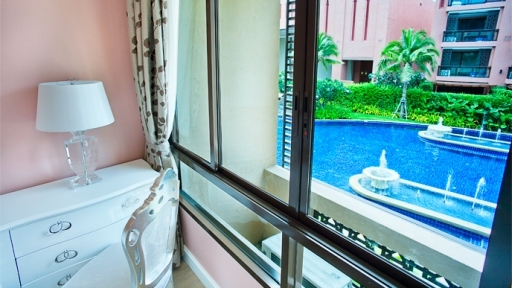 Unit is next to MRK-PH-22B "Tamarind" 2 Bedroom 2nd Floor Pool View Marrakesh Hua Hin Residence Apartment and on the same floor as MRK-GH-12A “Prissana” 1 Bedroom 2nd Floor Garden View. 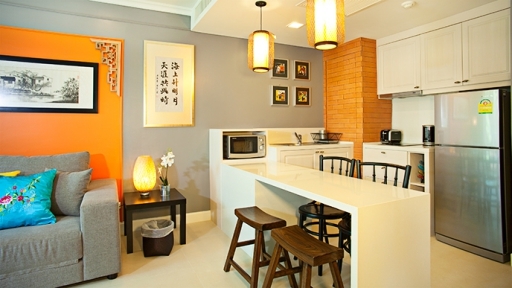 Chinese-modern-chic one bedroom apartment with garden view. The apartment is located in a quiet and private area (Building F) which is near the beach and far from the road. This well decorated room is fully equipped with modern amenities. This spacious and luxurious apartment is perfect for groups and large families together, yet have enough bedrooms and bathrooms to ensure privacy. 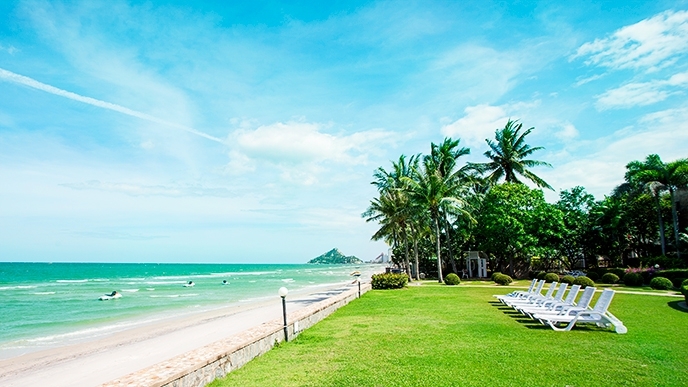 The view is breath-taking with panoramic view of Hua Hin's famous sea line and surroundings. 2. The fan in the living room is now undergoing maintenance so may not be able to be used temporarily. 3. Check in time for this unit is from 15:00 onwards due to its size and time required to clean it after check out. 1 Private Balcony with outdoor recliner and stools. 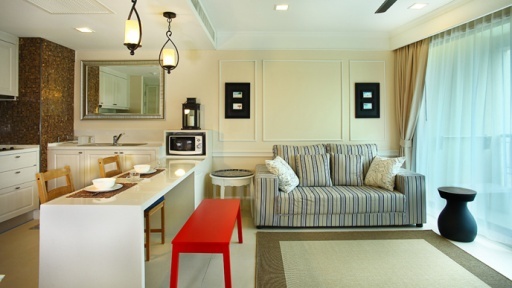 One of the best apartments in Hua Hin, the room is inspired by Indian royal residence together with the luxury holiday home. The creation of limitless imagination, all rooms are spacious with well equipped amenities. The main balcony is extravaganza that can accommodate little party of 6-8 people. The view is breath-taking with panorama view of Hua Hin best beach front and located in the most luxurios residential apartment project. 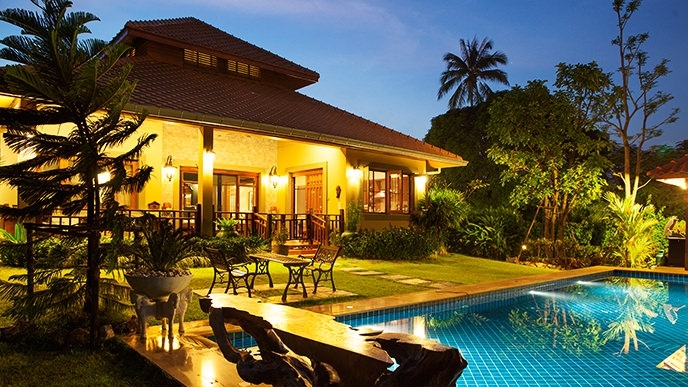 Hua Hin Stay is Hua Hin's premier vacation rental specialist and is more than a property agent as we offer short stay and long stay accommodation. We carefully select the finest properties in Hua Hin, with exquisite interiors, choice locations (mainly beachfront) and high quality linens. Our aim is to provide boutique and stylish beachfront serviced apartments, condominiums, villas and houses with reliable servive and good value. 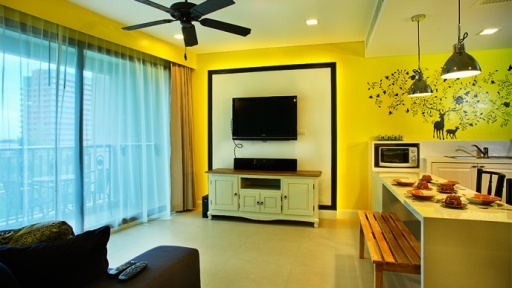 We offer luxury lifestyle, comfortable serviced apartments, condominiums, villas and houses with modern amenities in prime locations in Hua Hin. All locations have direct private beach access or fantastic views. We believe that every moment of your vacation is precious. 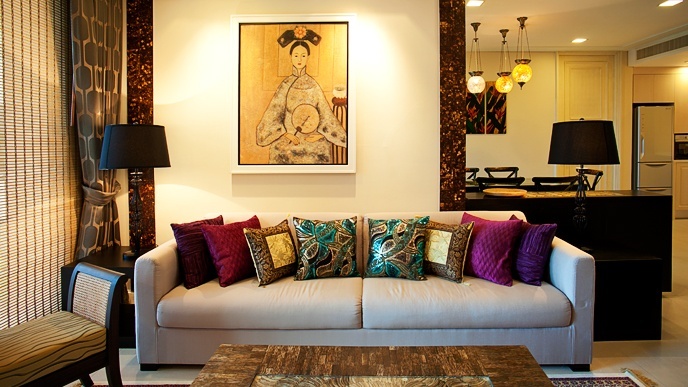 Hua Hin is well-known for stylish and sophisticated destination with good local cuisine. Luxury Apartments & Condominiums for Rent in Hua Hin, Thailand. Short & Long Term Vacation Rentals & Holiday Apartments. Check room availability, book & pay securely in a few minutes. 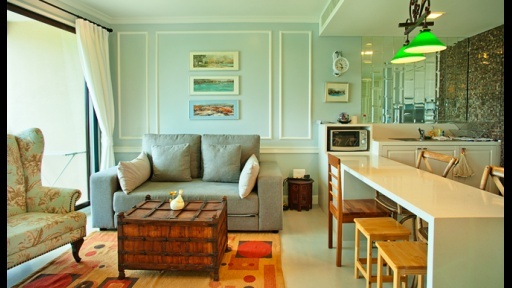 We currently manage the following popular Hua Hin beachfront condominiums/apartment complexes, villas and houses that share Hua Hin's famous beachfront, along with world-class hotels such as Intercontinental Hotel and Chiva Som Hotel. Hua Hin Market Village is the towns first large scale shopping and entertainment complex. The most famous of all Hua Hin markets is 'The Hua Hin Night Market' also known as the Chat Chai night market. Hua Hin Kitesurfing School is KBA’s first kite school in Thailand. The wind in Hua Hin is good all year around and is the best for kitesurfing lesson.